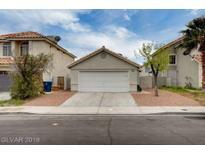 Below you can view all the homes for sale in the Alexander Villas Estates subdivision located in Las Vegas Nevada. Listings in Alexander Villas Estates are updated daily from data we receive from the Las Vegas multiple listing service. To learn more about any of these homes or to receive custom notifications when a new property is listed for sale in Alexander Villas Estates, give us a call at 702-323-5986.
convenient location close to Nellis AFB MLS#2085133. Anchor Realty Group. Tile Flooring Through Out The First Floor,Granite Counter Tops,Ceiling Fans In All Bedroom, Loft Has A Wet Bar. Must See! MLS#2085614. United Realty Group. Features a welcoming floor plan, separate dinning area, tile wood / flooring, , Hurry This one will not last! MLS#2076526. United Realty Group. Making it a huge family room with a ceiling fan. Backyard is great for BB'Qs MLS#2077905. Realty ONE Group, Inc.
Offers should be made contingent upon inspections during due diligence. MLS#2075029. Realty ONE Group, Inc. Separate Tub and shower in Master bathroom. 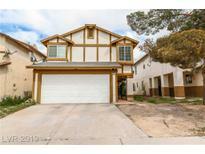 MLS#2072890. Realty ONE Group, Inc.
Open Floor Plan****3 Beds, 3 Baths Plus A Downstairs Den****new Paint****new Kitchen Cabinets****granite Counter Tops****new Diswasher And Microwave****remodeled Bathrooms With Modern Sinks****new Blinds****2 Car Garage With Remote Control Opener****much More* MLS#2069656. United Realty Group. 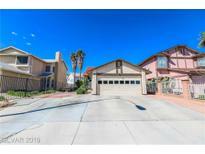 Very nice two-story home, very convenient location, 4 bedroom, 3 full bathrooms. You won't be disappointed! MLS#2063162. BHHS Nevada Properties. Home needs updating and will be ready to go!!!! ! MLS#2059147. Horizon Realty Group.